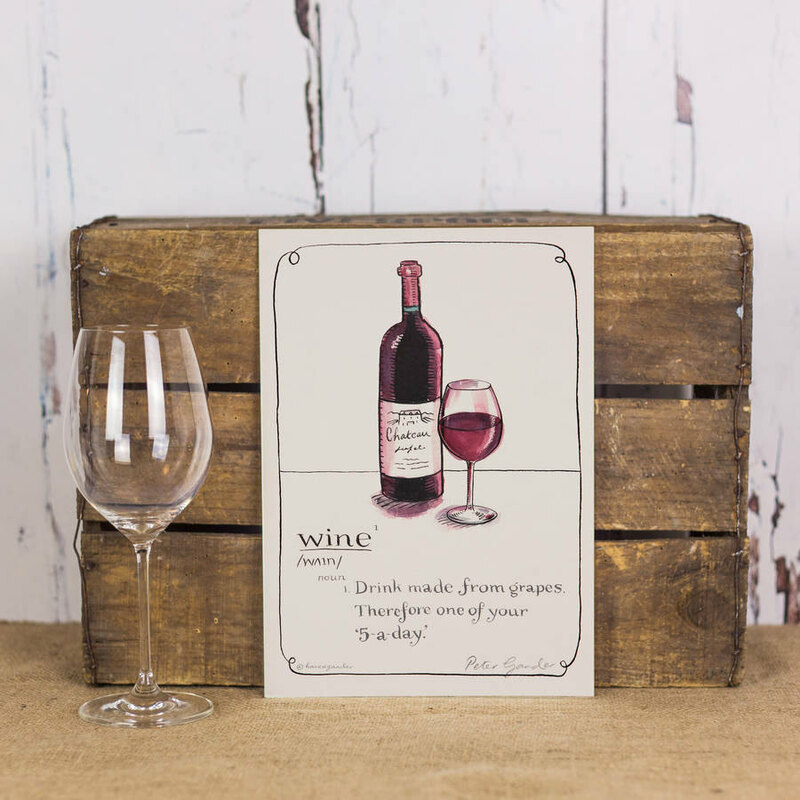 Reads: ‘Wine: Drink made from grapes. Therefore one of your 5-a-day’! 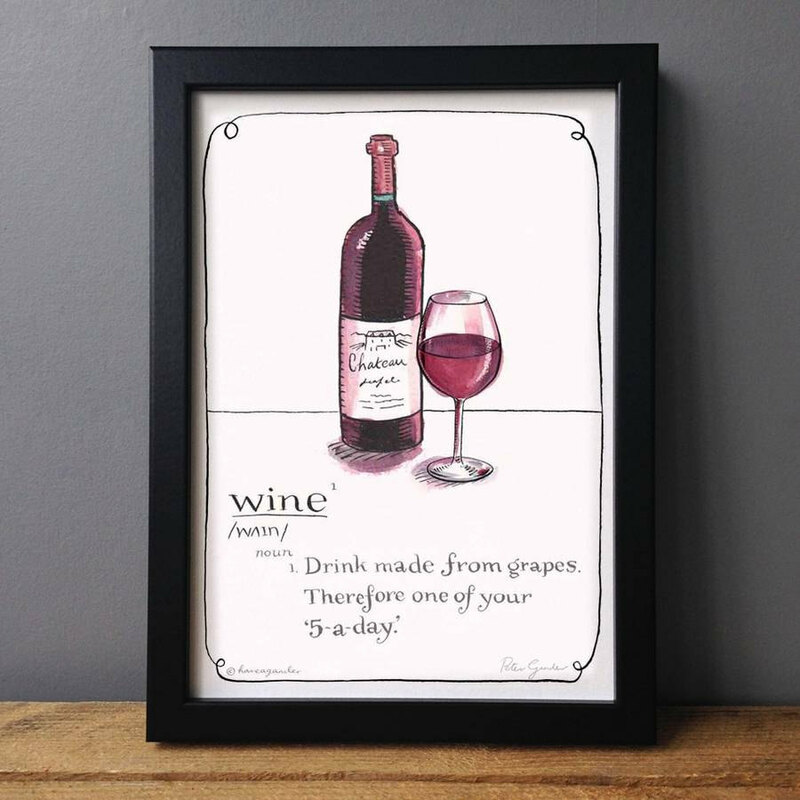 Perfect for the (fermented) grape juice lover. Well, we always knew a glass or two was good for us well now we have a dictionary definition. 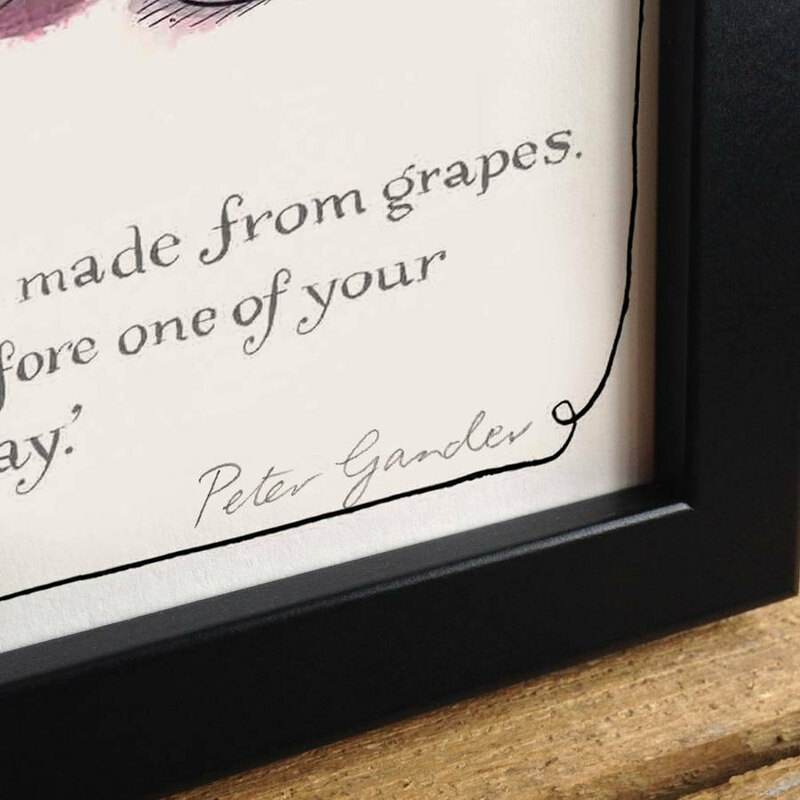 Hand-written in gorgeous typography in ink and watercolour, it makes a lovely gift for a ‘fan of the vin’. Celebrate the wonders of wine with our humorous lifestyle print, either in your own home or as a gift for a treasured friend you spend time over a glass of wine with.